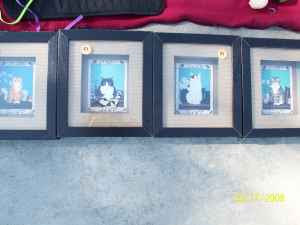 theAd>>small frames only $5 each or all 4 for $15. 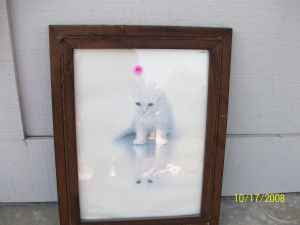 large frame $10. Do you wonder what the guy did with the girlfriend these used to belong to? How do I know it is a guy selling them? The title should read "willy, willy, wubable kitty pictures"
I think she is buried in the backyard with Mr. Fluffy Stuff.